Did you know that four of our previous presidents were cheerleaders? George W. Bush, Ronald Reagan, Dwight D. Eisenhower, and Franklin D. Roosevelt were all cheerleaders. 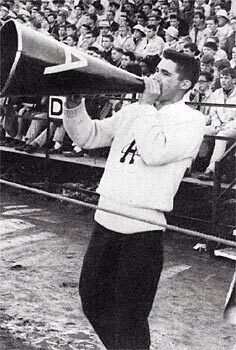 George W. Bush was a very popular cheerleader at Phillips Academy (despite his low presidential approval ratings). President Bush was the head cheerleader in high school and participated in skits where he dressed up like a woman and made fun of rival schools. Ronald Reagan cheered at Eureka college in Illinois before staring in countless films and becoming the President of United States and inventor of Reaganomics. A man of many talents, he also played on the football team and cheered for the basketball team. Famous Ike, who was very close to becoming a famous football star, chose to be a cheerleader instead at West Point College. After earning the letter "A," West Point's greatest football honor, Eisenhower was no longer able to play football for the Army, so he chose the next best thing: to be a cheerleader.